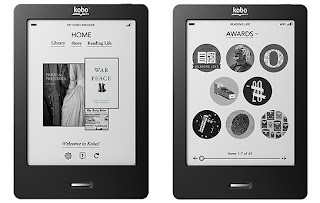 Kobo Reader has a 6” Pearl E-ink display with 2Gb storage and a built in Wi-Fi. It weighs only 185 gram and comes in different colors with quilt covered back which gives the signature look. Memory can be expanded using SD card upto 32Gb SD to carry 30,000 books. It supports all popular eBook formats, epub, mobi and pdf and major picture formats including support for CBZ and CBR for comic books. You can access millions of books from Kobo store. Kobo reader allows connecting to all popular social networking sites so that you can share your reading experience directly from the reader itself. The battery lasts for 1month so you have enough reading time with a single charge. Kobo reading applications are available in almost all popular platforms including iPad. It cost you around $129/-.